With Mac OS X Yosemite, Apple has largely left Dashboard behind. Instead, it’s replaced the tired apps that once lurked to the left of the home screen with polished and useful widgets in the updated Notification Center. To access these widgets, just click on Notification Center in the top-right of the Mac’s menu bar or, if you’re using a trackpad, swipe left with two fingers from the right edge and, in no time, you’ll be checking the weather, performing some quick math, or zipping through your email. Although Notification widgets are new with Yosemite, several developers have already jumped on board by adding widget support to their apps. 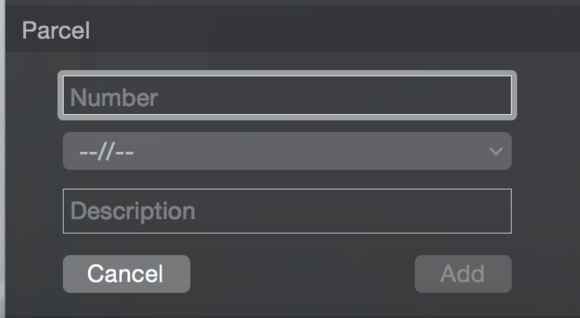 To add a widget, just open Notification Center, click the Edit button, and click the plus (+) button next to the widget you’d like to add. All set? Then let’s take a look at five of the best widgets we’ve seen. PCalc ($10) is one of the top calculator apps on iOS (as well as on the Mac), with robust calculation abilities that can be used for basic math as well as for higher-level needs. PCalc’s ability to appear in Notification Center was temporarily nixed by Apple as the company tried to bar any third-party calculator widgets. 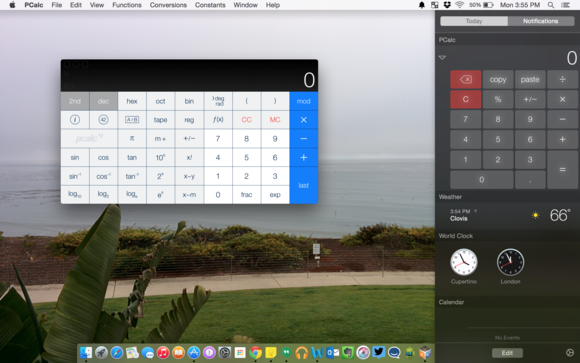 (After all, why would you need such things when Apple’s Calculator already works as a widget?) Fortunately Apple relented to user feedback—likely understanding that PCalc’s ability to perform advanced math within Notification Center (something Apple’s Calculator can’t do) was reason enough to allow it. If you need a scientific calculator that can work in RPN mode—which is essential for many engineering fields—PCalc is a wise choice. Do quick calculations in the Notification Center or fire up the full app. 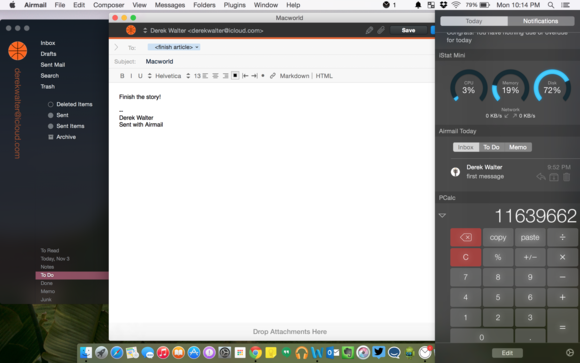 Airmail 2.0 ($10) is one of the best-looking email clients on the Mac. It handles just about any email service you throw at it, including iCloud, Gmail, Microsoft Exchange, or Outlook.com. And it’s a good option for anyone who juggles multiple email addresses but wants to handle them all from within one application. Keep up with all your email accounts through Airmail. The second iteration of Airmail makes smart use of Notification Center by including email messages, to-do items, and any memos you create inside of Notification Center. The memos also sync with Apple’s Notes app, so any notes you crank out on an iOS device or your Mac will be available from within Airmail. It works like a cleaner version of Microsoft Outlook, bringing together into one application many of your productivity tasks. Are you interested in the details of your Mac’s performance? Then iStat Mini ($2) may be a good choice. This is a widget-only download and one that displays basic information in Notification Center—showing you the percentages of CPU and memory used, the amount of storage your Mac’s consumed, and the speed of your network connection. Get a quick overview on your computer's performance with iStat Mini. 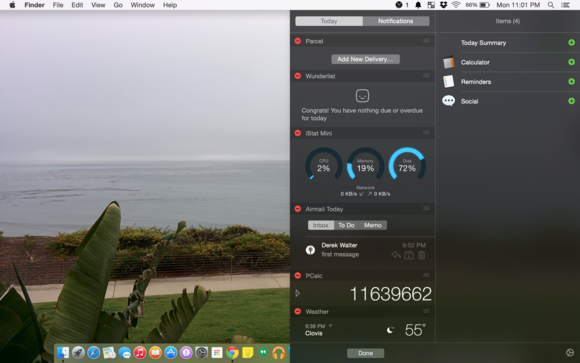 As a standalone widget it doesn’t provide the kind of information that you get in Bjango’s full-blown $16 iStat Menus 5, but it may provide enough information to give you a picture of how things are running on your Mac. It’s a helpful tool that can tell you when it’s time to kill some running apps or free up some hard drive space. 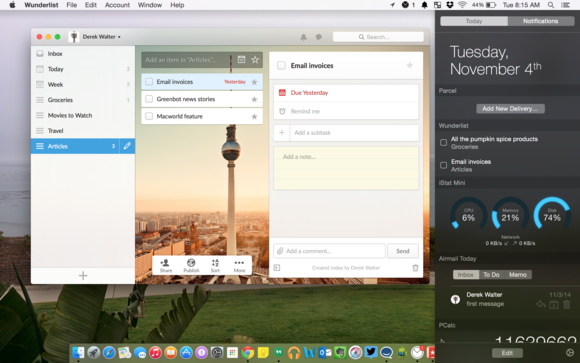 Wunderlist (free) was already one of the productivity kings for Mac users. Its integration with Notification Center will be a nice touch for those already invested in the service. Keep track of your tasks with Wunderlist. For example, to see if a task is overdue you can just swipe over to Notification Center instead of launching the app. Yes, it sounds like a first-world problem, but it’s a one-click (or one-swipe) convenience I appreciate. If you’re like the rest of us, when you’re waiting for that new iPhone to arrive, you constantly check shipping updates. Parcel (free) can make your obsession easier. Just expose Notification Center, click Add New Delivery, enter your tracking information (and a description of the delivery, if you like), click Done, and you’ll be able to easily keep an eye on your deliveries (and lots of them as Parcel supports over 230 services). If you’d like to track more than three packages, Parcel asks that you pay an annual $2 subscription fee. Add your package delivery information to Parcel, so all you have to do is check in at the Notification Center for status updates. Widgets are small, helpful, easy to obtain, and developers are just getting started with them. Keep an eye out for updates in the Mac App Store, as your favorite app could get even more convenient with a slick new widget.